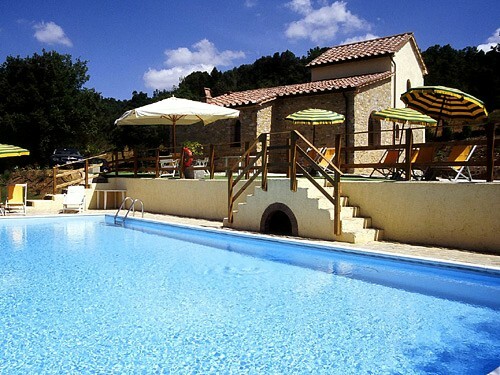 Located less 23 km from the Tuscan seaside this large country style is perfect the place for family reunions. 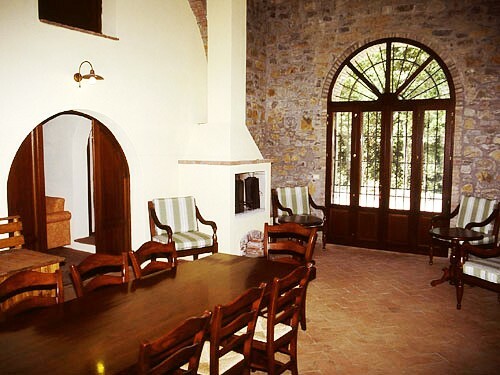 Monteverdi is a peculiar Tuscan farmhouse located between the hilly Tuscan countryside and the unspoiled Tuscan coast. 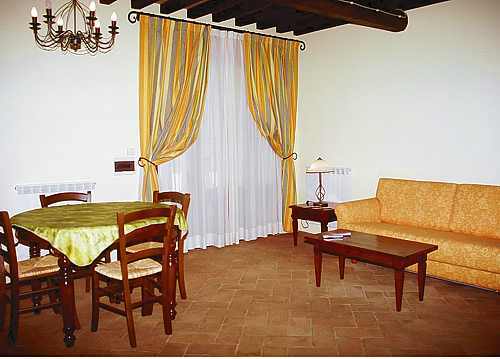 It consists of three independent apartments and a freestanding villetta that can be rented separately. All together the property offers enough space for a group of maximum 25 people. 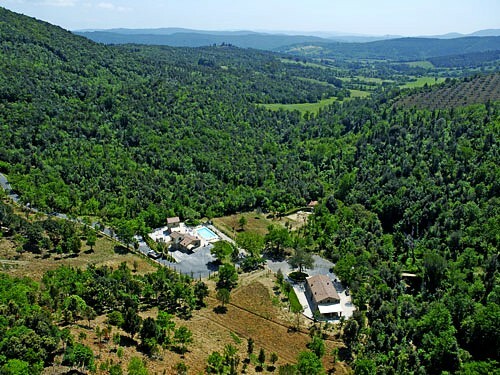 The area is amazing by its stunning views and surrounding nature. 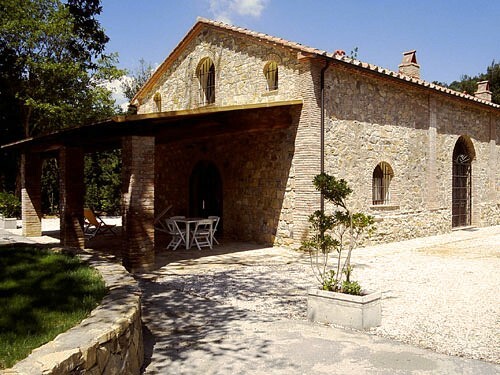 VILLA LIMONE is a freestanding villetta that sleeps up to 9 people. 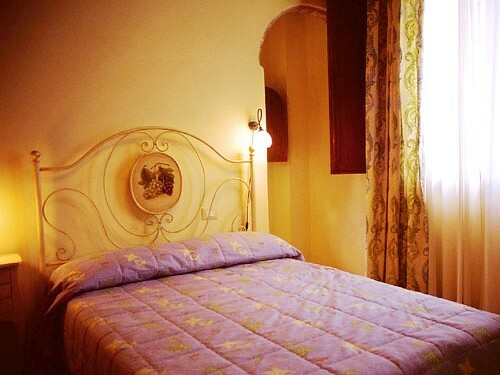 Limone is composed of living room, kitchen, 1 double bedroom with a queen-size bed and 2 bedrooms with a French size bed each (a French size bed measures 1,20 m of width). In the living room there is a double sofa-bed plus a single sofa-bed. 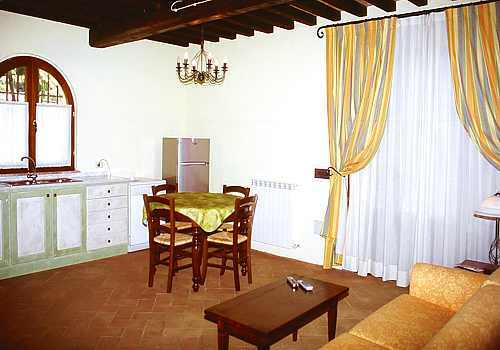 Limone is equipped with three bathrooms, among them one is a full bathroom with a bathtub, WC, bidet and sink, located on the ground floor. The second one is a half bathroom inside the bedroom on the ground floor, equipped only with sink and WC. 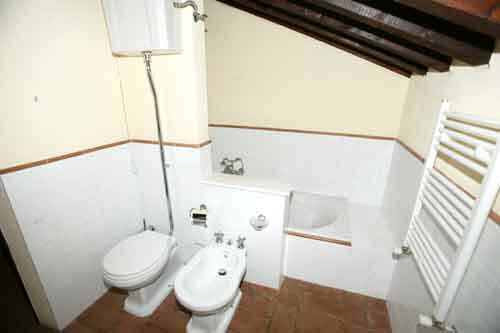 The third bathroom is located on the first floor with only WC and sink. 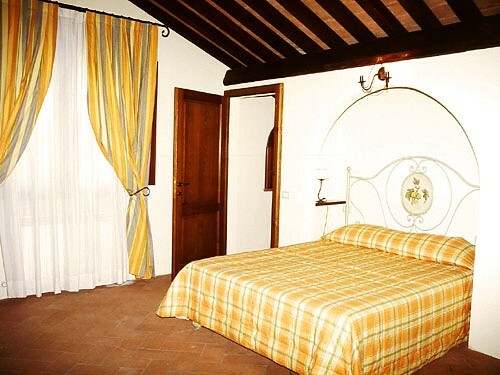 Each apartment has been recently renovated, and decorated with very comfortable furniture, typical Tuscan style with terracotta floors and wooden beamed ceilings. The walls are original stone thick walls so the rooms are really cool inside. Both are similar, composed of living room, kitchen with dishwasher and dining room, one double bedroom each and two full bathrooms each. Each one has a SAT TV in the living room and a sofa-bed for 2 people. 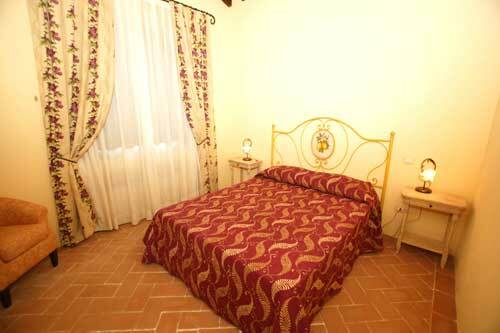 The price includes up to 5 people, two sleep in the double bedroom, two on the double sofa bed in the living room. Another sofabed for 1 person is situated in the double room. FICO and PERO share a great room called LOGGIATO with a fireplace, a reading corner with two single sofa beds with space for 2 extra people to sleep and a large table where to stay together. FICO, PERO and LOGGIATO together are called CASOLARE for up to 12 people. 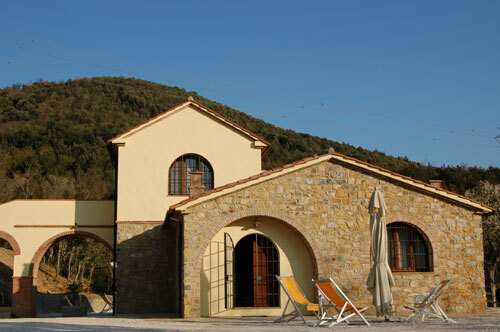 The whole villa can be rented all together for one large group up to 25 people. 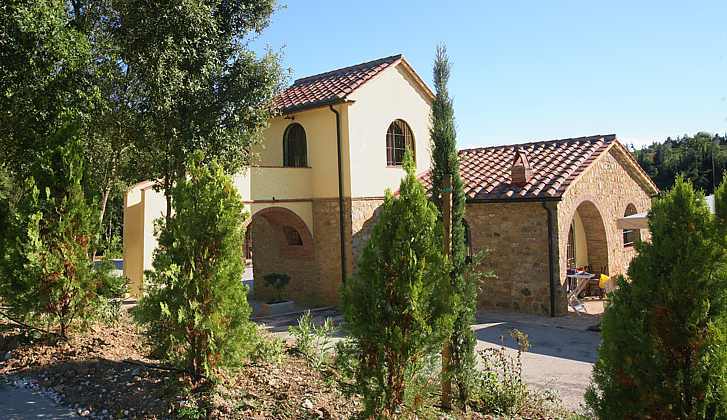 Monteverdi is located in the middle of a triangle between three charming Tuscan villages (Suvereto, Monteverdi and Canneto), reachable only 10 min. 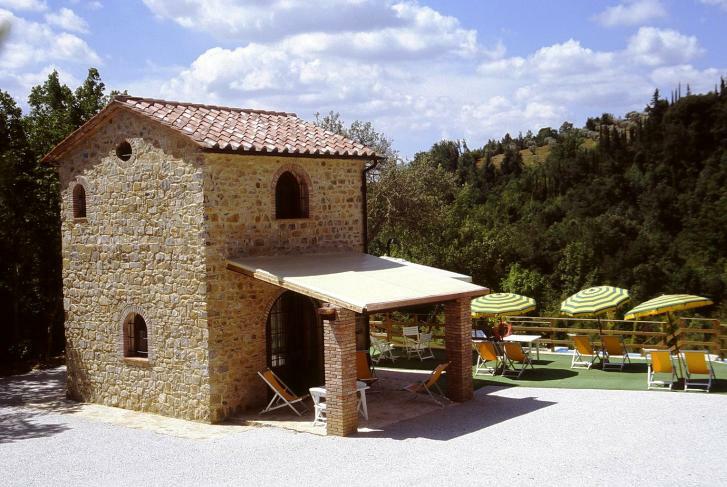 by car, where you find great restaurants of typical Tuscan menus. Services and shops like groceries and pharmacies are available in these villages. Only 20 min. by car and you get to Marina di Donoratico or Cecina, both important beach towns and sandy beach areas on the Etruscan coast. 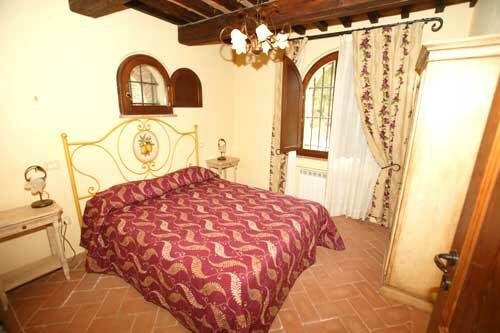 The main attractions close by are BOLGHERI, Castagneto Carducci, Volterra and Pisa, reachable easily by car. This area is well-known worldwide by important wines like Ornellaia and Sassicaia, mixing interesting tastes of both Tuscan coast and countryside. 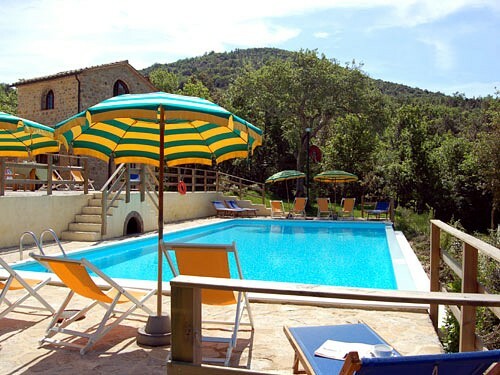 Don't miss a visit to the hot springs close by, specially the Calidario Spa, at Venturina, it is really worthy! 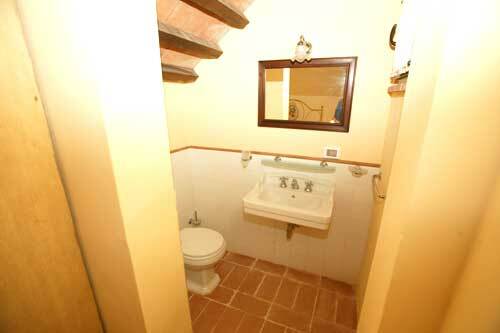 One bathroom is located on the ground floor, equipped with a shower box, WC, sink and bidet. 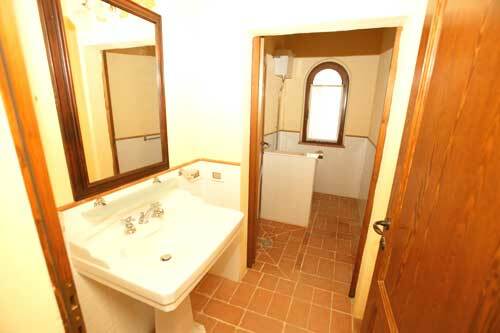 The other bathroom is located on the first floor and is equipped with bathtub, WC, sink and bidet. This is valid for both Fico and Pero. 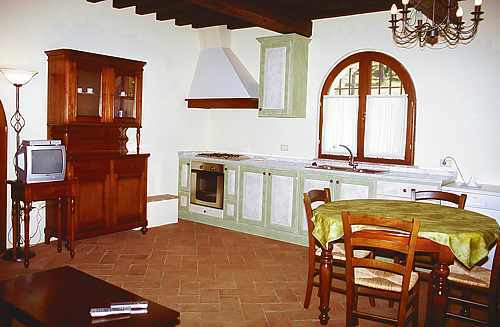 The kitchens of both Fico and Pero are equipped with dishwasher, in addition to all necessary cookware, table ware, stove, oven and refrigerator. UVA is a freestanding cottage that consists of a living / dining room with kitchen corner, one double bedroom and one full bathroom equipped with shower box, WC, bidet and sink. It holds 2 people in the double bedroom plus 2 extra people in sofa-beds (one located in the double bedroom, the other one in the living room). UVA has a SAT TV in the living room and equipped outdoor area for meals and moments of relax. The property is structured to provide moments of total relax, immersed in the nature, close to natural torrents of crystal water and surrounding areas were to hike among the woods. The large swimming pool (6 x 12 meters) is located very close to the apartments and offers a fully equipped area where to sunbath, with tables, chairs and umbrellas. 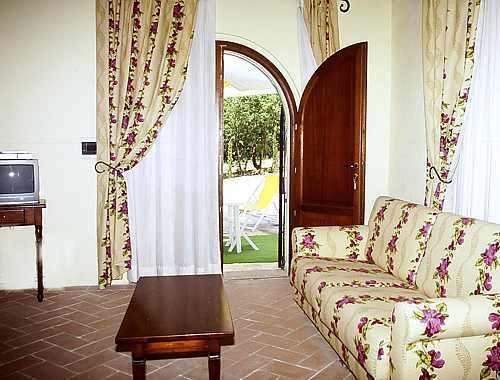 Each apartments has its own independent umbrella with an equipped outdoor area for meals. Two fixed barbecues are available for guests. Amazing location in the middle of nowhere! The view was simply breathtaking and the pool was well kept and clean. Highly recommended. 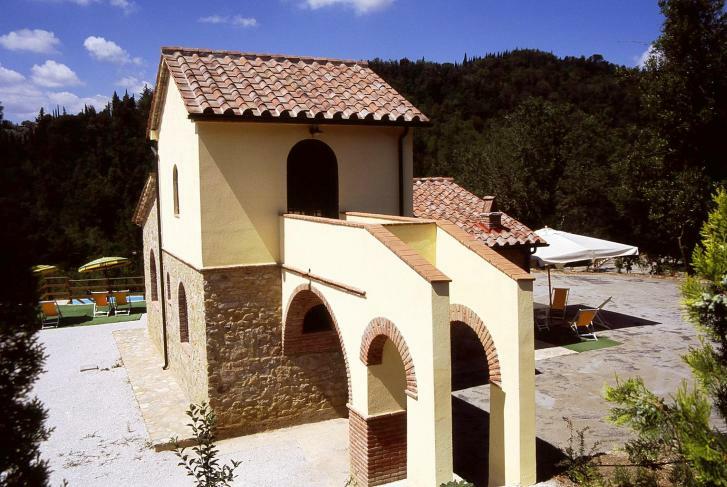 Monteverdi is a jewel nestled in the woods of Monteverdi M.mo. 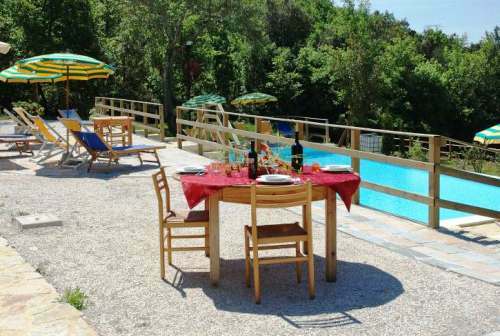 The small number of apartments, just 4, make it a truly unique reception facility, offering unforgettable moments of relax in close contact with the fresh and fascinating surrounding nature: walks in the wood and along the creek, peaceful moments in the large pool and for Kids carefree play on the lawns. An important feature of the restructuring has been the respect of the interior spaces, which now offers the ability of having large and comfortable apartments. 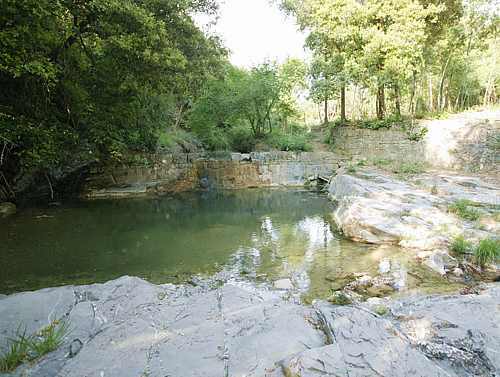 Inside the property slowly flows the stream “Massera”, along which is built a small embankment that creates a small basin with a waterfall effect in which you can swim. 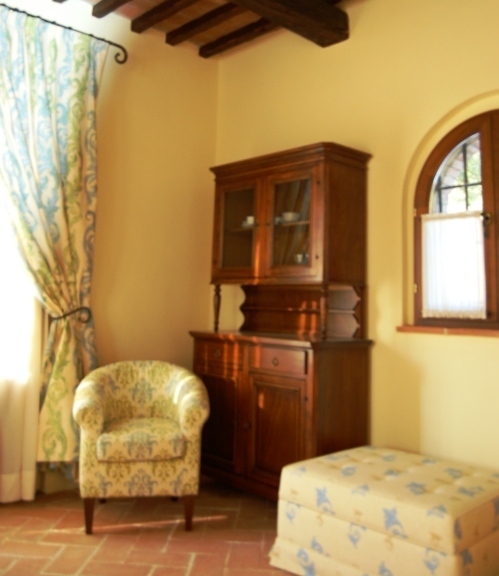 Borgo Il Massera is placed at the center of a beautiful triangle drawn by the quiet and suggestive villages of Suvereto, Monteverdi and Canneto, just 5 km from each. 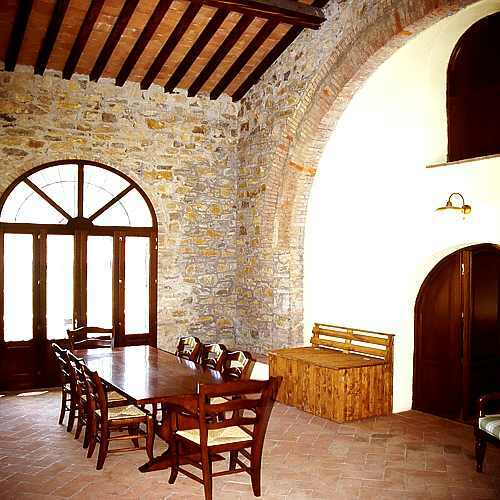 In those villages it is possible, moreover, to enjoy the culinary delights of Tuscany. In this regard we point out the nearest restaurants: - "Osteria del Ghiotto" Via del Lardarel 34 Loc. Canneto, Monteverdi Marittimo (PI) Tel: 0565.84435 - "Trattoria del Pettirosso" Via San Martino, 1 Monteverdi Marittimo (PI) Cell: 338.6778161 - "Pizzeria il Botteghino" Via Vittorio Emanuele, 8 Loc. Canneto, Monteverdi Marittimo (PI) Tel 0565.784432 Furthermore we point out the following activities for the purchase of typical Tuscan products: - Specialità MUCCI Monteverdi Marittimo (PI) tel.0565 784217 www.specialitamucci.it - La Bottega di Nannini Nico Via Roma 9 Canneto Monteverdi Marittimo (PI) Tel 0565 784378 – 334 8615417 The road links make Monteverdi particularly close to the sea (just 45 minutes by car), especially the location of Castagneto Carducci, with its sport and shopping centers. Furthermore, do not forget the easy reachaibility of the historic city of art and culture such as Bolgheri, Castagneto Carducci, Volterra, Massa Marittima, Pisa and Siena. Moreover, Piombino is the city from which ferries depart to Elba island. We were 9 adults and 9 children, between 6 months and 15 years, we all endjoy the place and facilities very much, and the beautiful pool was cleaning every day - thank you! 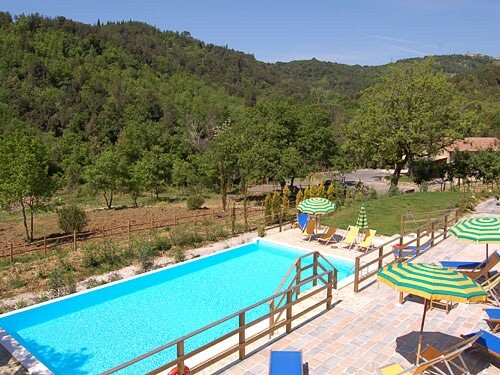 Lovely location and people, pool amazing! !